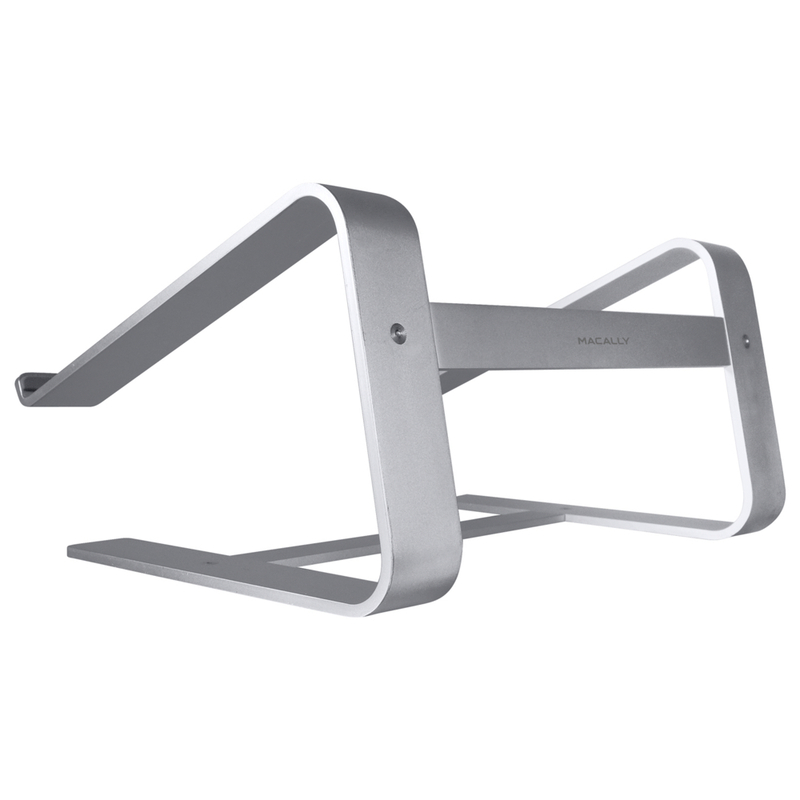 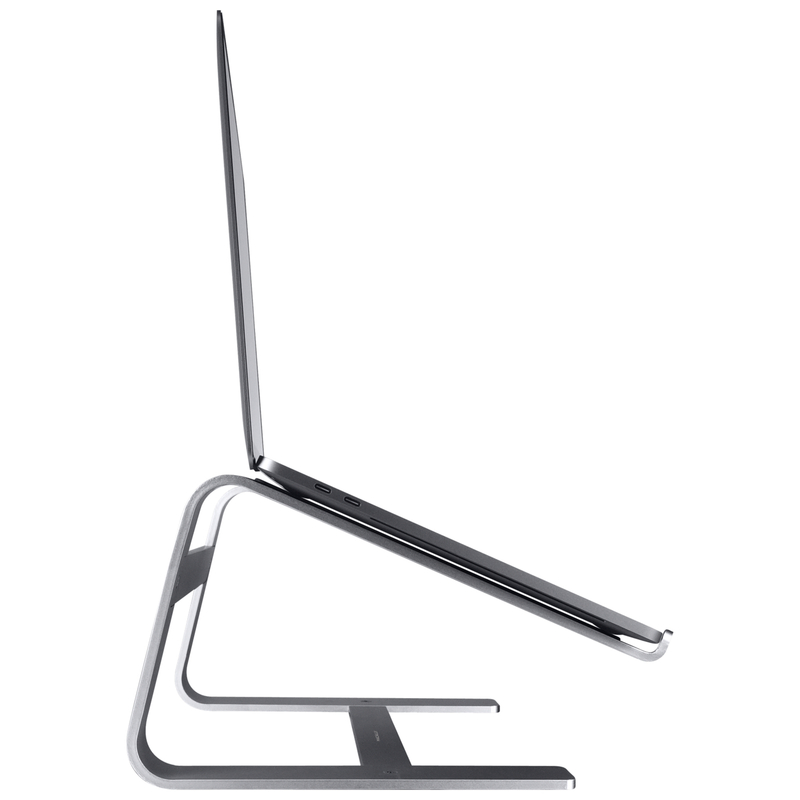 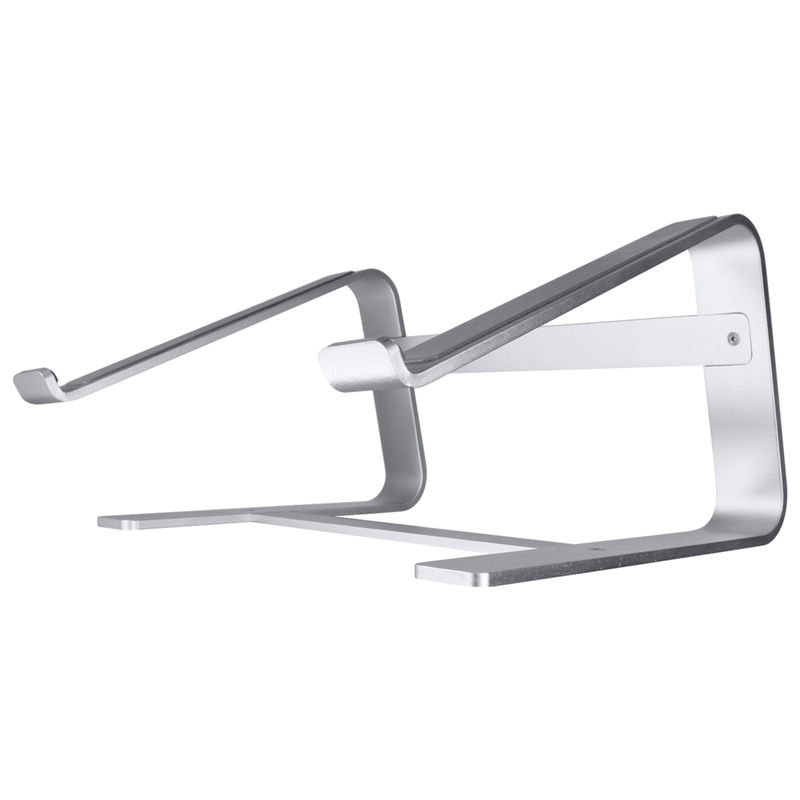 The Macally ASTANDSG is an aluminum stand that raises your laptop screen (up to a height of 6”/15 cm) to meet eye level for an improved posture and view. 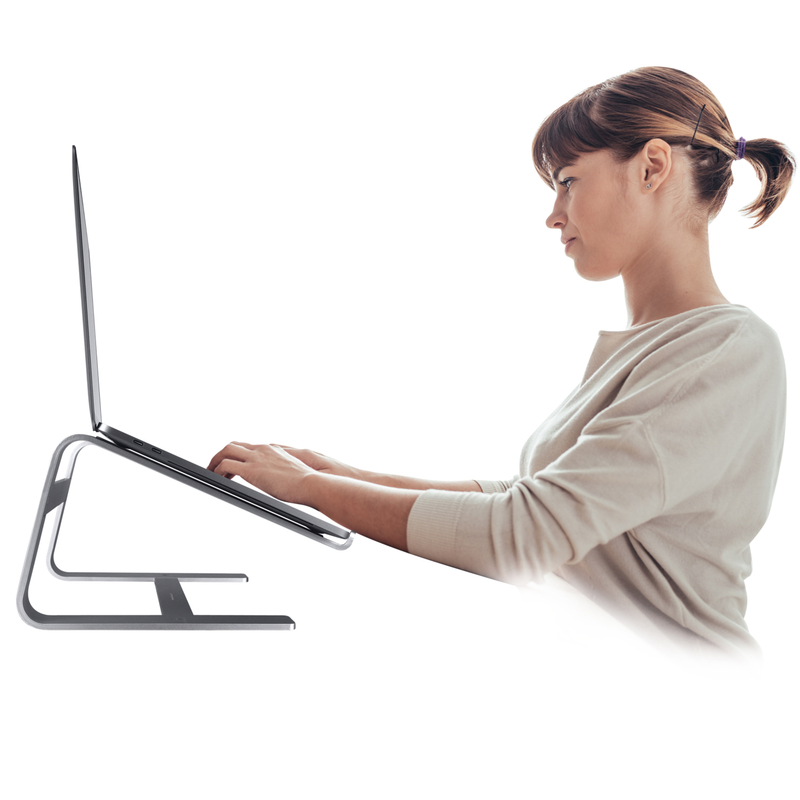 By doing this you reduce neck pains and headaches that are the result of a bad posture. 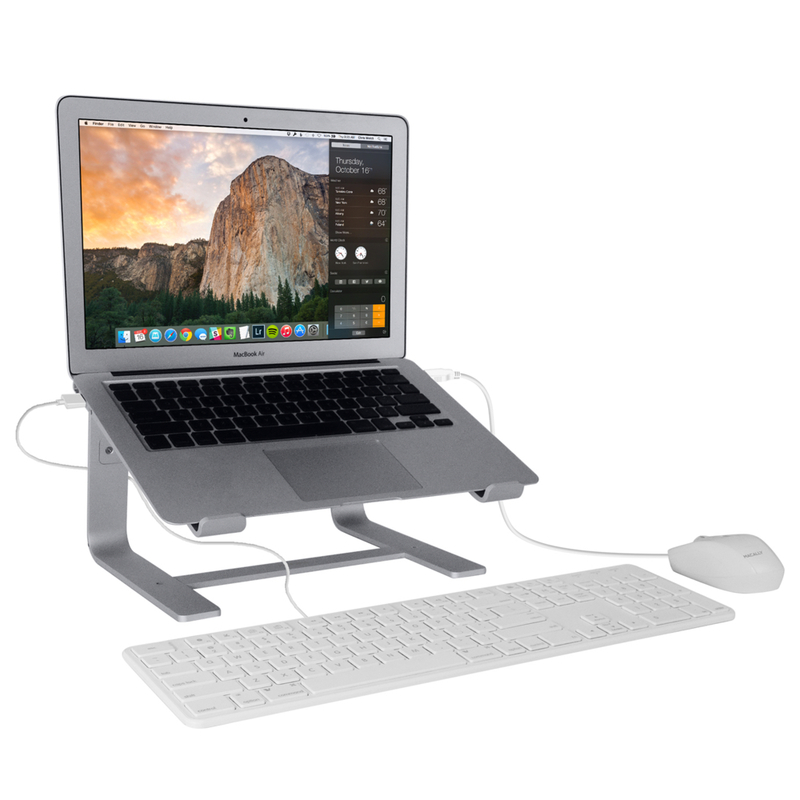 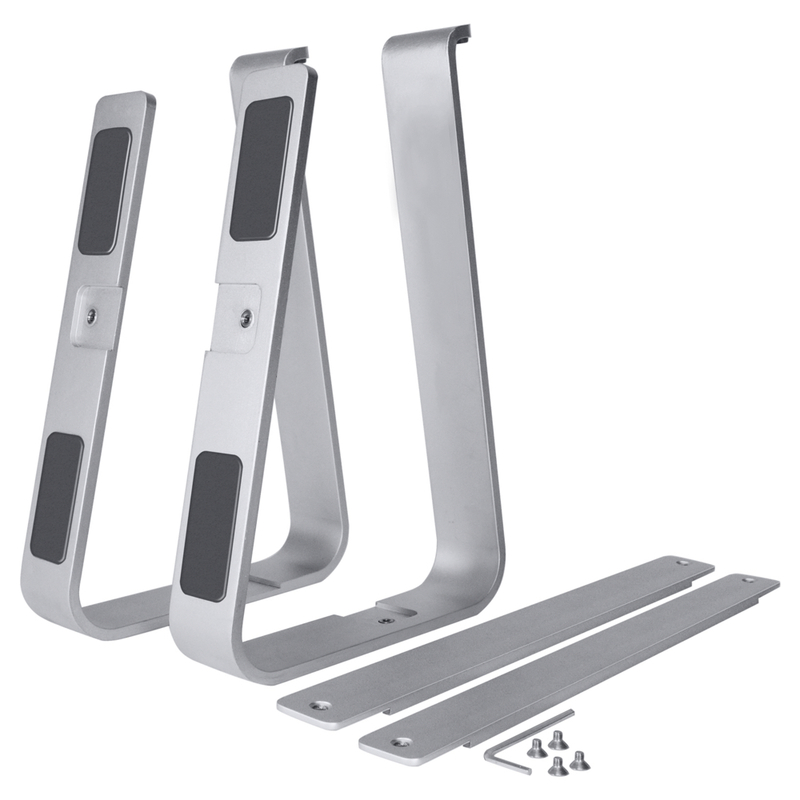 The Macally ASTANDSG is made out of high quality and solid aluminum with an easy to assemble bridging structure for maximum stability. 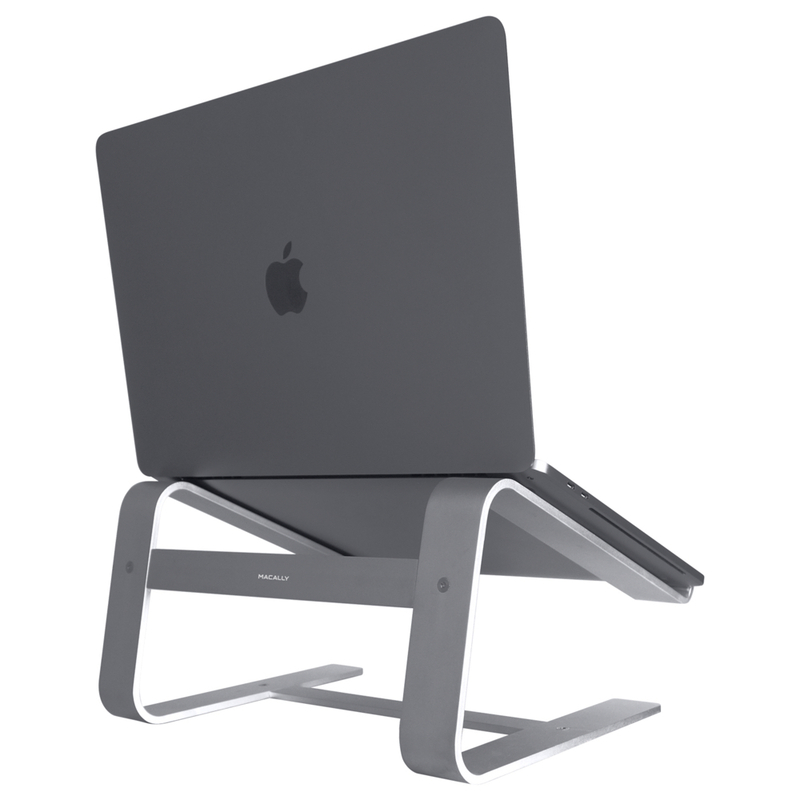 The tilted design (±19º angle) with raised front edges and a non-slip pad keeps your laptop in place. 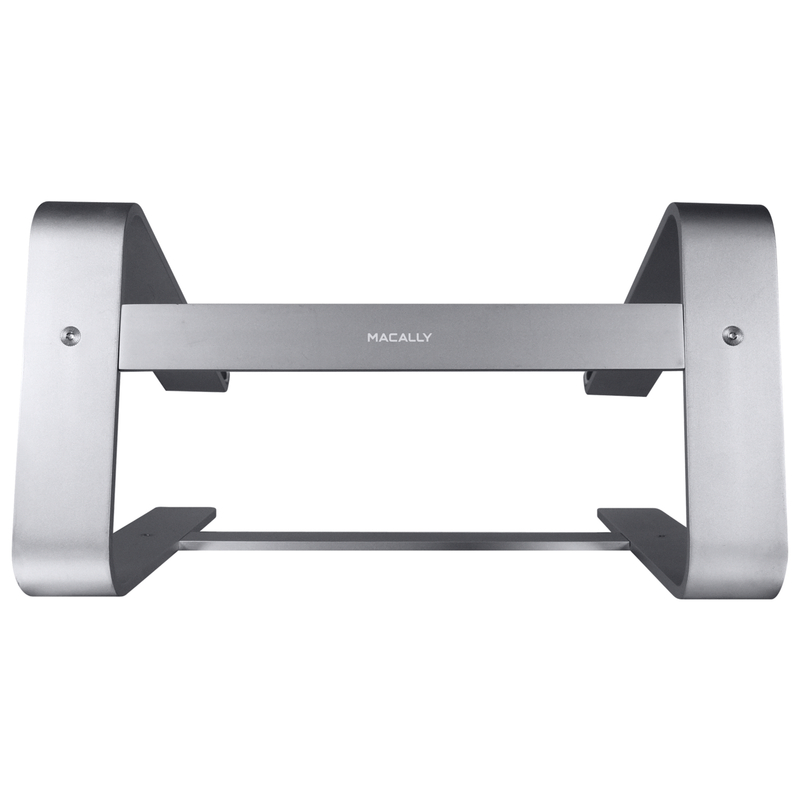 The package comes with 4 screws and a screwdriver to easily and quickly assemble the Macally ASTANDSG. 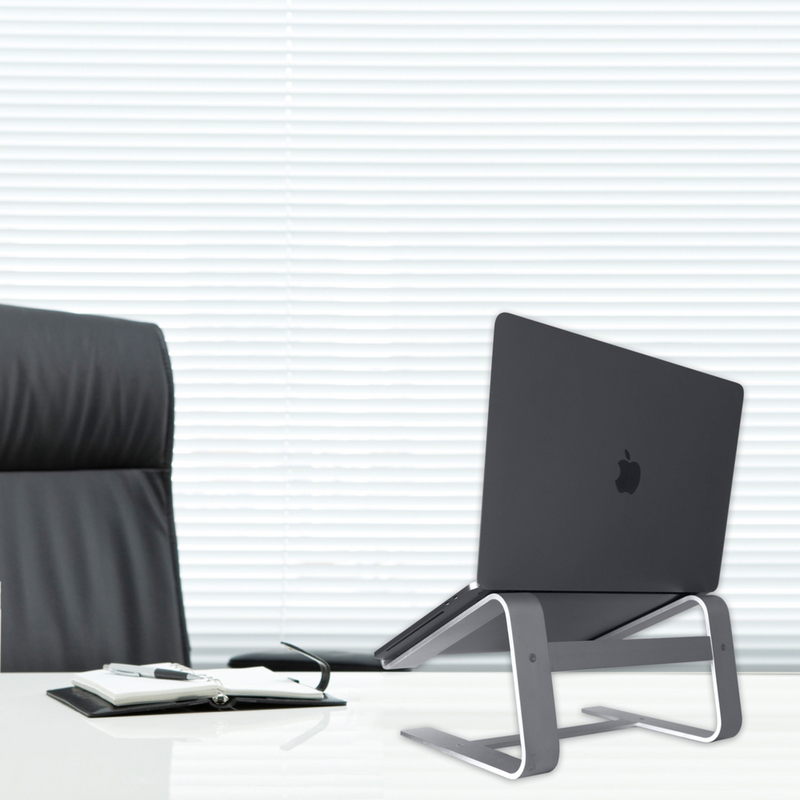 You're done in 3 minutes. 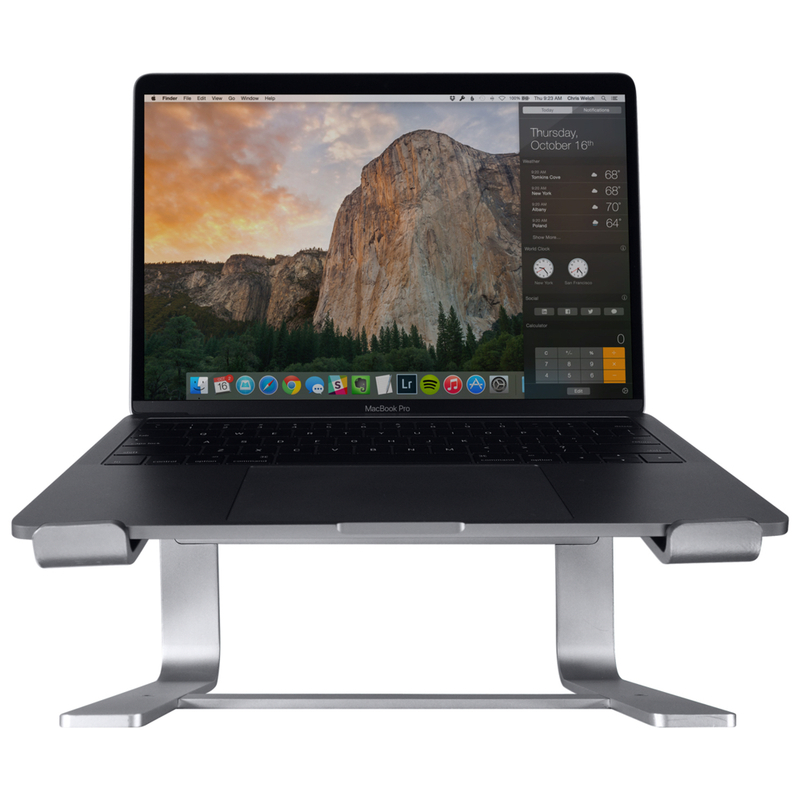 Made out of sandblasted aluminum with a space gray anodized finish, the Macally ASTANDSG is the perfect match for Apple MacBook, MacBook Air and MacBook Pro. 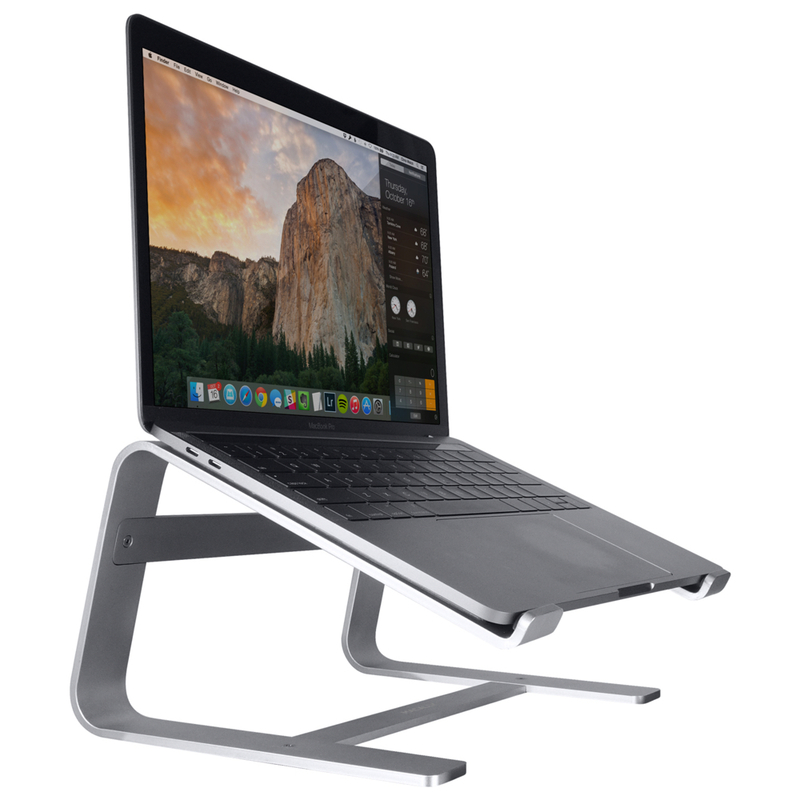 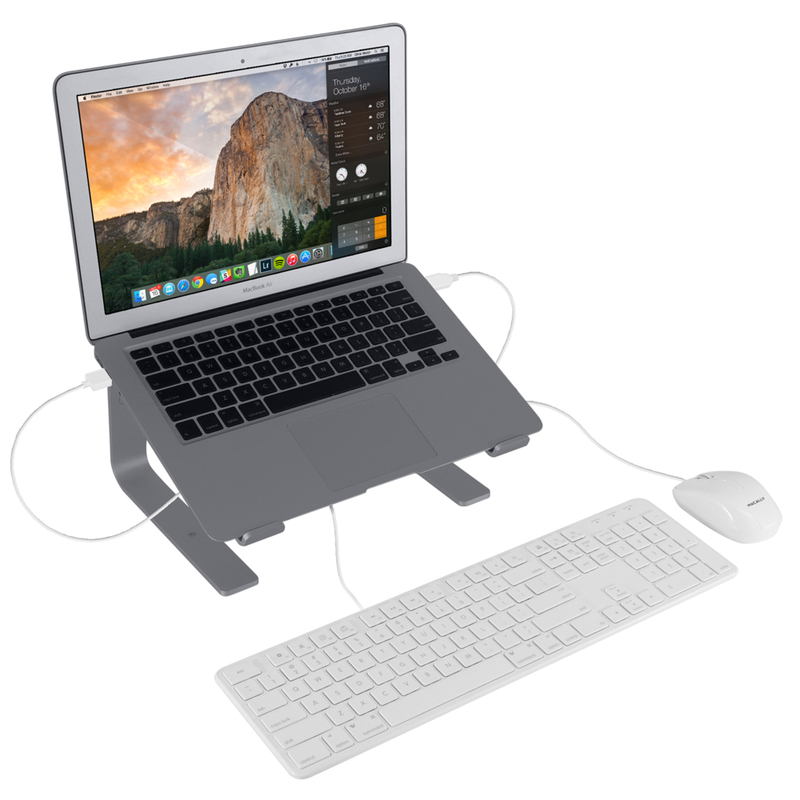 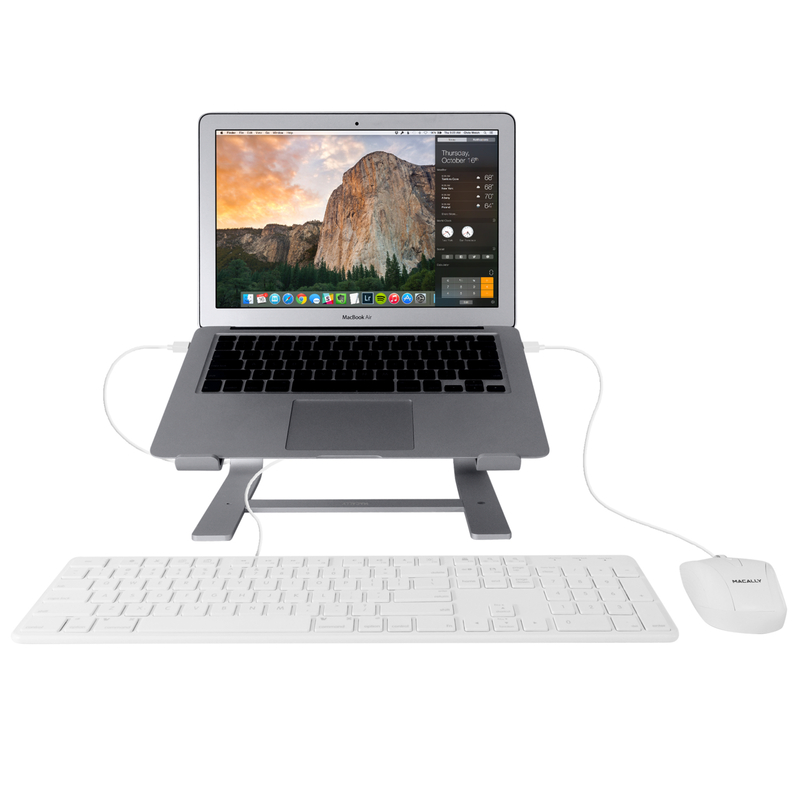 The Macally ASTANDSG is also compatible with any laptop that is 10” and wider.